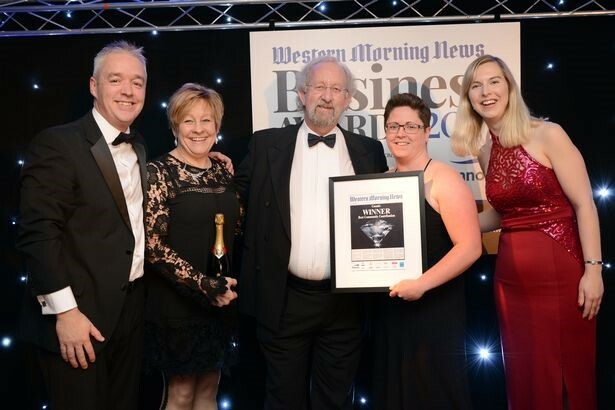 We are extremely proud to announce Cosmic have won the award for Best Community Contribution at the Western Morning News Business Awards 2017. This award recognises all charities and social enterprises within the South West that achieve business success but whose priority is non-profit making. In application for these awards, Cosmic highlighted to the judges the multiple ways we support communities through funded projects such as Positive People, The Prince’s Countryside Fund and Get Up To Speed. All of these projects aim to encourage and support communities in becoming more digitally included; providing advice, skills and access to digital technologies. These are just a few examples of the 21 years of support that Cosmic have offered communities in the South West. Cosmic works to achieve social impact and improve people's lives every day through providing training, advice and support to individuals, communities and businesses in the South West. We tackle the issue of digital inclusion head on, ensuring all people have equal access to digital technology and the skills to excel in using those tools. We use our resources to extend our knowledge and expertise to others through a series of workshops and projects. Winning the Western Morning News award for Best Community Contribution is such a major tribute to the team here at Cosmic and I was thrilled to accept the award on behalf of every member of the team. Commitment to our social impact remains top of the agenda for Cosmic as we continue to lead the drive for digital to benefit everyone. We are incredibly proud to have won this award - and a well done to all the other fantastic businesses that were shortlisted. You can read more about the other winners here.